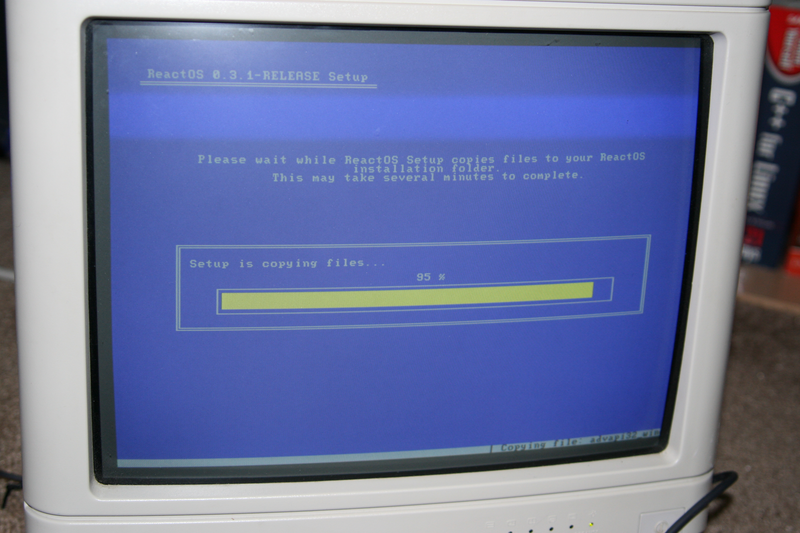 Despite the fact that the ReactOS test specifically said that 0.3.1 was not ready for installation on computers, I tried anyway. Looks like they decided to keep that horrible installer from Redmond. Quite a shame when most Linux distros are using graphical installs. 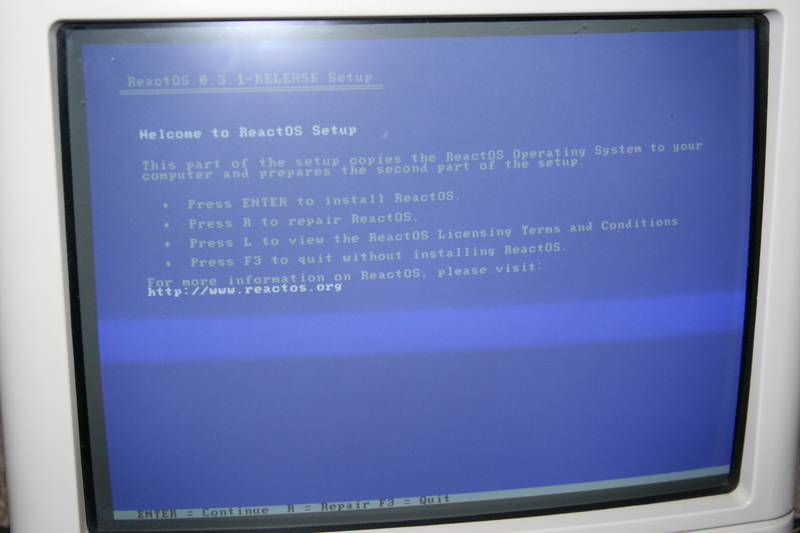 You don’t need to copy the bad stuff too, ReactOS team! What’s with using FAT16 for the partitioning? Why not FAT32 or, better yet, NTFS? My guess is that it just hasn’t been reverse-engineered yet. Recently I heard about some kernel stuff where they were able to R/W NTFS, perhaps the ReactOS team can steal from there? On the plus side, it didn’t take several minutes to install – just about two. Much, much better than Windows.